Most civil servants keep away from the limelight after retirement. Even if they do come into the news, it is seldom for shooting off their mouth. Mani Shankar Aiyar seems to have left diplomacy long back. Ever since he left the Indian Foreign Service to join the Congress party, Aiyar has often hit the headlines for wrong reasons. In his latest faux pas, Aiyar suggested during a panel discussion on a Pakistani news channel that talks between India and Pakistan can only move forward if Prime Minister Narendra Modi is removed from his post. Predictably, the Congress has washed its hands off Aiyar's statement. But this isn't the first time Aiyar has embarrassed his own party. 1. "Modi will never be PM, but he can sell tea." During the AICC meeting at Delhi's Talkatora stadium on 17 January, 2014, Aiyar said, "I promise you in the 21st century that Narendra Modi will never become the prime minister of the country. But if he wants to sell tea here, we will find a place for him". This was barely months before the campaign for the 2014 Lok Sabha elections kicked off. The jibe backfired badly on the Congress party. It helped Modi market himself as a humble chaiwala and it inspired the innovative Chai Pe Charcha campaign of the BJP. 2. "Decision to hang Afzal Guru wrong." When 2001 Parliament attack convict Afzal Guru was hanged during the UPA government's second term, Aiyar put his own party in the dock by questioning the execution. Instead of abiding by the Congress party's line, he backed PDP's demand for return of Guru's mortal remains to his family. "I have always been in favor of that (return of Afzal Guru's mortal remains to the family)," said Aiyar, when asked about the PDPs' demand. "In fact, I think it was a very wrong decision to hang him. The evidence against him was not strong enough in my opinion," he added. Yet again the Congress was forced to dismiss this as his personal opinion. 3. "BA pass Ajay Maken cannot write." Aiyar's jibes aren't restricted to political opponents. He hasn't spared even his party colleagues. Take Ajay Maken for instance. In September 2011, Maken, then Union Minister for Sports, wrote a letter to a letter to the Prime Minister blaming his predecessor Aiyar for playing an "obstructionist role" that eventually led to huge cost and time overruns in the Commonwealth Games. An infuriated Aiyar raised questions over the authenticity of the letter. Speaking to a news channel, Aiyar retorted, "We have to establish the authenticity of this letter. It contains words like 'dichotomous' which I cannot believe that a BA Pass from Hansraj College would know". 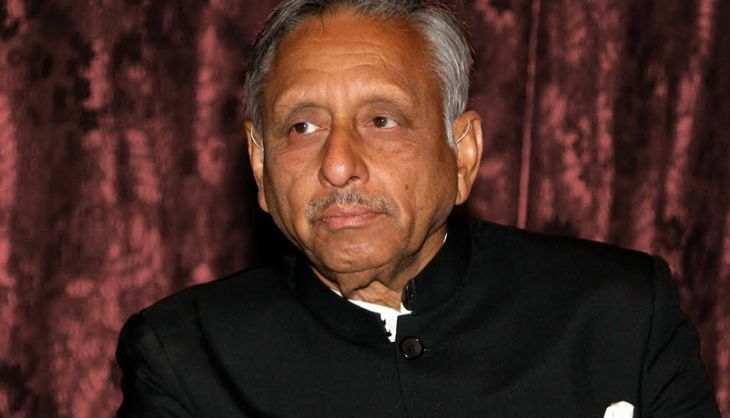 An alumnus of St. Stephen's College and the Doon School, Aiyar is known for his elitism. He even dragged the Kirori Mal College into the controversy by declaring that Amitabh Bachchan was the "sole achievement" of the college. 4. "Behavior of MPs reminds me of animals." In November 2012, there was a deadlock in Parliament over Foreign Direct Investment in multi-brand retail. While participating in a TV debate over the issue, Aiyar said, "There is a decent and respectable way to express one's point of view. This behavior of the MPs reminds me of animals screaming in a well." The then Minister of State for Parliamentary Affairs Rajiv Shukla had to tender an immediate apology to the Rajya Sabha members on behalf of Aiyar. However, Aiyar refused to retract his comment. 5. "Congress women can push Modi into the sea." No one seems to evoke Aiyar's vitriol more than Narendra Modi. Addressing a gathering of Congress' women workers in August 2014, Aiyar said "We have 14 lakh elected women and we must connect them all together. If all these women unite, then Modiji will have to return to Gandhinagar, and then can proceed to the sea." 6. "We should reflect on why the situation in France has come about?" When whole world was unequivocally condemning the recent terror attacks in Paris, Mani Shankar Aiyar came up with seemed to justify them. "The anti-Islam phobia that is being carried out in the western countries should be stopped immediately. The Muslims living in France should be provided with the assurance that they are also citizens of the country." In addition to expressing remorse, Aiyar remarked, "We should reflect on why the situation in France has come about?" He had made similar remarks after the attack on the office of Charlie Hebdo in January this year. Yet again, the Congress had to distance itself from the statement.